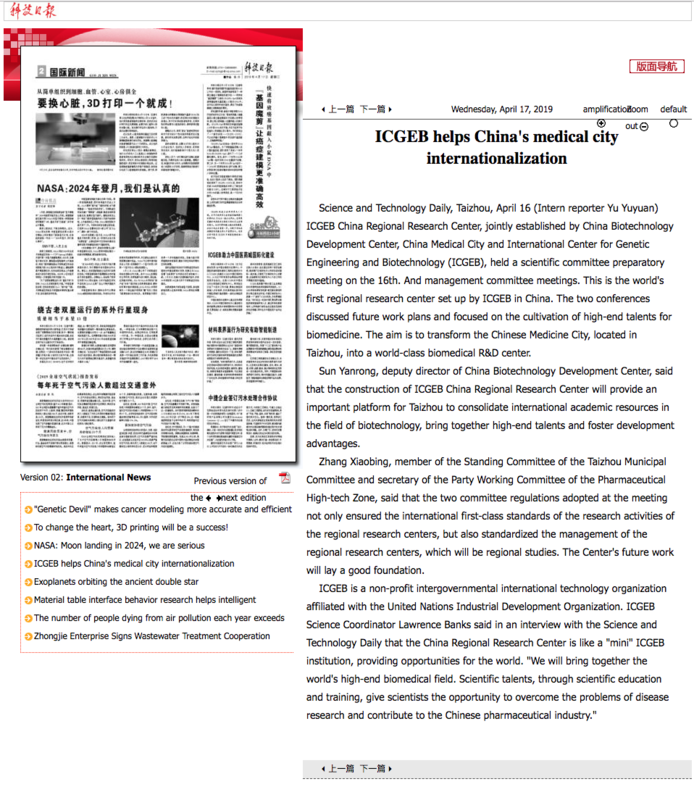 Taizhou, 16 April 2019, the ICGEB and Chinese Scientific Committee hold meetings to finalise the establishment of the RRC in China. 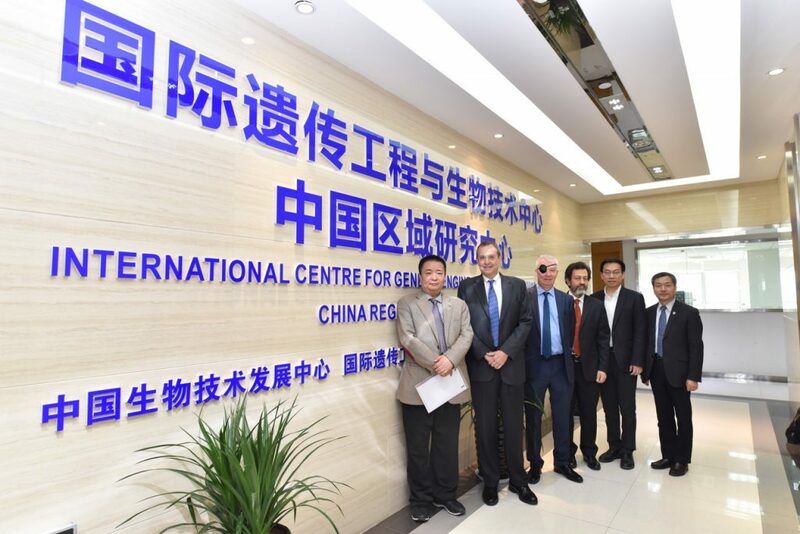 An ICGEB delegation comprising Mariano Garcia-Blanco, CSA Vice-Chairman, Lawrence Banks, ICGEB Scientific Coordinator and Alessandro Marcello, ICGEB Trieste, were in Taizhou this week to bring forward discussions and Management of the Regional Research Centre in China. Jin Li, Vice- President of Fudan University and member of the Chinese Academy of Sciences (CAS), Xu Tao, Vice President of UCAS and member of CAS and Shen Hongbing, President of Nanjing Medical University were also present. The ICGEB China Regional Research Centre, jointly established by China National Centre for Biotechnology Development (CNCBD), China Medical City and the ICGEB, held scientific committee meetings and management committee meetings in reference to the world’s first regional research centre set up by ICGEB in China. 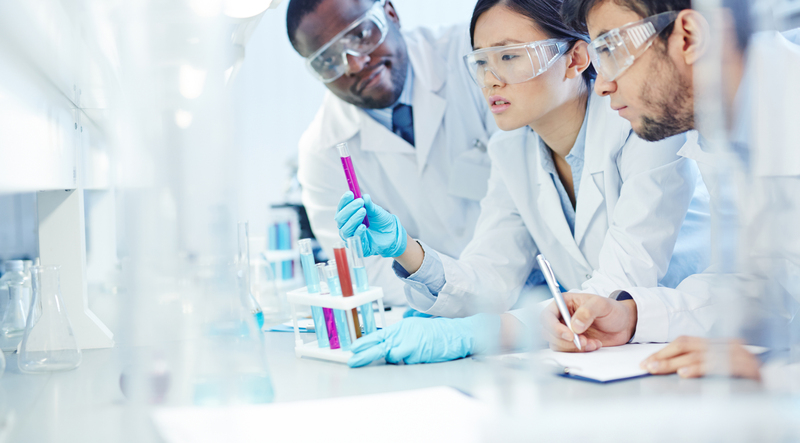 Future work plans were discussed, focusing on the cultivation of high-end talents for biomedicine. The aim is to transform the Chinese Medicine City, located in Taizhou, into a world-class biomedical R&D centre. Sun Yanrong, Deputy Director of China National Centre for Biotechnology Development, said that the construction of ICGEB China Regional Research Center will provide an important platform for Taizhou to consolidate international academic resources in the field of biotechnology, bringing together high-end talents and fostering development. Zhang Xiaobing, member of the Standing Committee of the Taizhou Municipal Committee and secretary of the Party Working Committee of the Pharmaceutical High-tech Zone, said that the committee regulations adopted at the meeting not only ensured the international first-class standards of the research activities of the Regional Research Centres, but also standardised their management of regional studies. Read more about the ICGEB Regional Research Centres.